Hope Lutheran is a member of the English District of the Lutheran Church Missouri Synod and boldly confesses the truths of Holy Scripture as they are correctly explained in the Ecumenical Creeds and the Lutheran Confessions. We approach God with humility and repentance and receive from him the greatest gift we can imagine, forgiveness and life through our Lord Jesus Christ. We who have been washed clean in Holy Baptism gather weekly as a family to receive these blessings. At this time, every Sunday is a little Easter where the Resurrection of our Lord is celebrated each and every Sunday in the Paschal Feast of the Lord’s Supper. The Easter celebration continues through June where new life is ours in the Life of Christ given us in Holy Baptism. 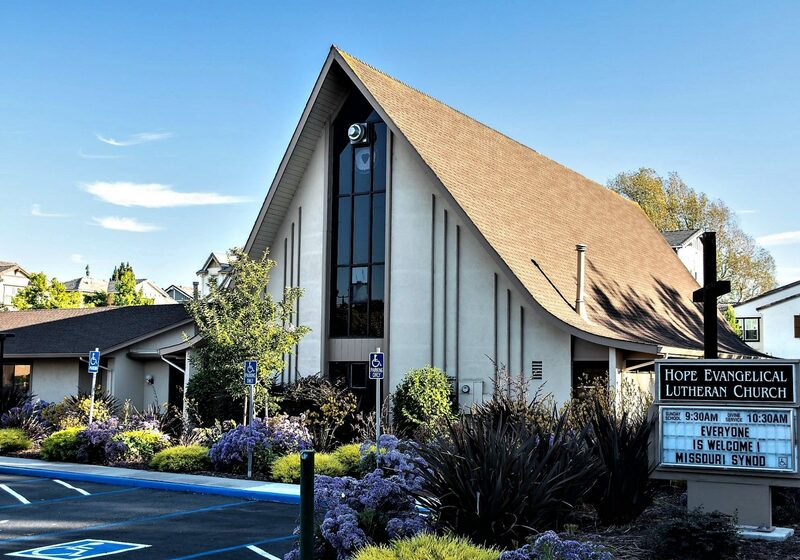 If you have questions about our congregation or its teachings please contact our pastor.